Religion and politics has shaped the Takoma Park community. From the early 1900’s to 1990, Takoma Park was the world headquarters of the Seventh-Day Adventist Church. Two of the church’s institutions remain today, The Washington Adventist Hospital, and Columbia Union College. Takoma Park is a perfect “bedroom community” for young professionals. It is a 15 minute commute to the middle of Downtown D.C. by Metro from the Takoma Station on the Red Line. The Old Town offers an eclectic, funky mix of small, locally owned specialty shops and small restaurants, cafes and a verypopular FOOD COOP. There is a year round farmers market every Sunday in the center of town. To celebrate July 4th, the town puts on its own parade and its own fireworks display. 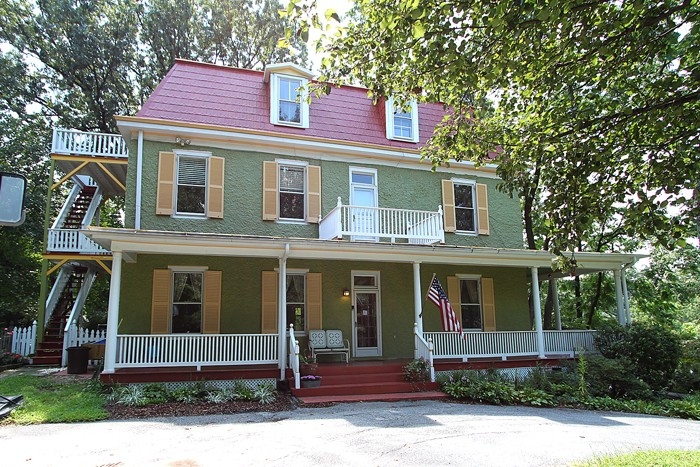 HIGHEST Sale Price – $1,075,000 for a 6 Bedroom, 5 Bath Victorian origianally built in 1904. A restoration on almost a one acre lot in the heart of the Historic District. 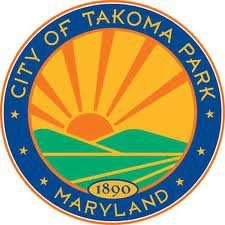 The Average List price for a single family home in Takoma Park in 2012 was $448,875. Takoma Park remains popular with today’s home buyers and has retained it’s home values – The Average Sales Price was UP 1.9% from 2011 and the days on Market is Down 10 days from 2011. Matt Drudge is the creator, owner and editor of the Drudge Report, a news aggregation website. He is probably most famous for being the first to break the Monica Lewinsky scandal story in 1998. I have to admit, when I first heard of the Drudge Report, I thought it was a small rag magazine or newspaper that “drudged” up dirt on stories and people. Until I looked it up, I didn’t know that is was named for a guy that grew up in Takoma Park and went to Blair High School in Silver Spring. 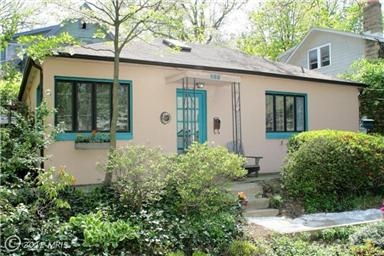 Matt Drudge grew up in this adorable 2 bedroom, 1 bath “Santa Fe” style cottage bungalow, built 1941 in the Historic District of Takoma Park. The last sale of the house was in 2011 for $364,000. Step back in time behind the cases and coolers of beer, wine, snack displays and the cramped cash register to one of Silver Spring’s best kept secrets, the Flower Delicatessen Restaurant. A little lunch counter/restaurant and bar that’s been in business since 1937. Located in the Old Flower Avenue Shopping Center where most of the original businesses have been replaced and the historic Flower Theatre sits closed. The current proprietor “Hadi” took over the Flower Deli from the original owner in 1979 and “redecorated” the bar/restaurant. Nothing fancy here, just good food, friendly staff and what everyone can appreciate, prices from another era! One regular named “Jim” has been coming to the Flower Deli since 1975. Jim Lives in nearby Takoma Park and was in the “music business”. Jim comes for lunch at least 2 or 3 times a week and always sits at the bar. He says he loves watching the Redskin games there during the season. An elderly lady with a cane has been having lunch there for a least 30 years. She says you can’t beat the prices, “where can you get a hot dog (Genuine Hebrew National) and a cup of coffee for less than $3.00?” She says the Deli beats the Tastee Diner hands down. The red headed waitress, Gloria has been working at the Deli for over 27 years. She’s efficient and personable. Gloria works the breakfast and lunch shift. Some people think that the Deli has the best breakfast in town. The owner says people rave about his breakfasts. He say’s it’s all about the sausage. A few years back he changed the sausage meat brand he was buying, many of the customers noticed and complained, so he has switched back to his original brand, and no . . no one would tell me what brand of sausage it is. No wonder the Flower Deli is beloved by all construction workers and contractors. In my humble opinion, the hamburger is the best one in Silver Spring. For some reason it tastes familiar, like the burgers my mother used to make when I was a kid. The 1/4 lb hamburgers are $2.29 and cheesburger $2.49. BTW – The other old fashioned thing about the Flower Deli, besides the ambience and the prices, they don’t take Credit Cards – So bring some good, old fashioned CASH. Kick off the weekend tonight by attending a good “old fashioned” amateur wooden-bat summer baseball game. It’s a home game for the T-Bolts ( Silver Spring – Takoma Thunderbolts) vs the Southern Maryland Nationals. Tonight is Hawaiian Shirt Night. Gates and Concession open at 6:00 pm. The game starts at 7 pm at the Montgomery Blair Baseball Stadium, Silver Spring, MD. The Stadium is located at Montgomery Blair High School, 51 East University Blvd., in the Four Corners area. Admission is only $5.00 for adults and $2.00 for kids under 18. On Saturday don’t miss the now very popular Fenton Street Market as the place to be on Saturdays. From 9am to 3 pm on Saturdays a vacant parking lot at the corner of Fenton Street and Silver Spring Avenue at the edge of Downtown Silver Spring transforms into a small business festival. Local artists, craftspeople, entrepreneurs and collectors exhibit their wares. There are different special events and a scavenger hunt every weekend, each weekend gets more interesting than the last at the Fenton Street Market. On Sunday enjoy what people living in Silver Spring and Takoma Park have have been enjoying for the past 120 years, the 121st annual Takoma Park 4th of July Celebration. The parade starts at 10:00 am at Carroll & Ethan Allen Avenues, follows Carroll Avenue towards DC, crosses over to Maple Avenue along Carroll Street, then returns along Maple Avenue. The Real Estate Market in Silver Spring and Takoma Park continues to pick up momentum. The question is, have we hit bottom and are we heading out of this or is this just a short upswing before the bottom really falls out? I wish I had a Crystal Ball but . . . . . “Those that live by the Crystal Ball eat glass”! My suggestion right now would be that if you are wanting to buy, jump in now. You can’t go wrong. If you are selling or need to sell, sell now and price your home to move fast. If this is a short upswing then you don’t want to miss your chance to sell now during an upswing. How long of a window might we have? This is another question that is begging for a Crystal Ball. I would guess that we might see a better market for at least the next 60 days. The problem longer term could be interest rate increases or the increase in inventory of foreclosed homes. Either of these could have a negative impact. My suggestion is NOT to watch national trends, but focus mostly on what you see taking place in our community. This will certainly give you the best perspective on our market. Enough Already with Real Estate – We’re Launching Pigs! 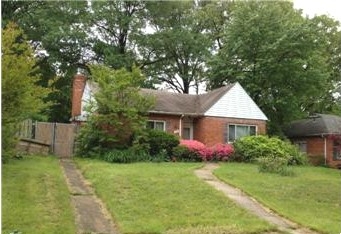 We closed on 5 Silver Spring Properties in December through the middle of January. In the last 2 weeks showings on listings have tripled since the previous month. We’ve recently been involved in 4 multiple contract situations (multiple buyers making offers on the same house), who would have thought in this “terrible” market? We have 5 ready, willing and able buyers that we’re helping to find Silver Spring Homes for. Interest rates are the lowest they have been since 1955! I think the market will still struggle on in 2009 and we may still be a ways from the bottom but in reality, it’s not as bad as it is being made out to be. If you listen to the news, watch TV, surf the net or read the paper, you would think houses are selling only when pigs fly! From now on the Silver Spring Team will be launching pigs.